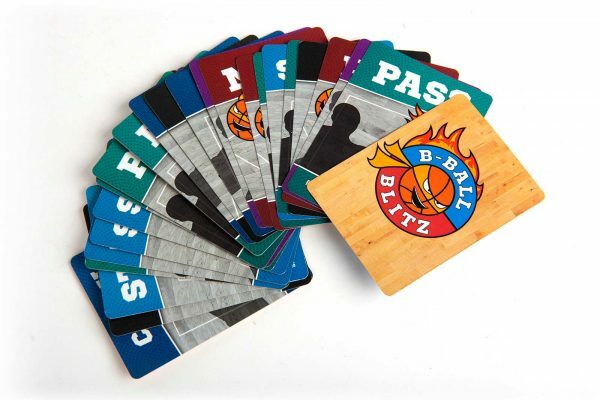 B-Ball Blitz was designed to be a fun party game that’s ever changing and will literally make you laugh out loud. 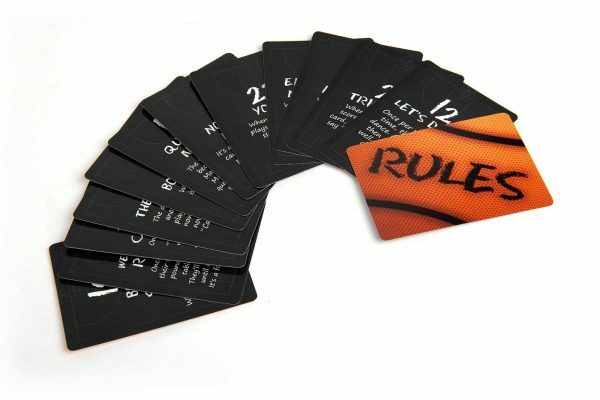 With each round a new rule is introduced, so the more you play, the crazier it gets. I wanted to create a fun game that adults would want to play, but was still easy enough for kids to join in as well. Most kids games I’ve played rely almost entirely on chance, and these are usually so mind-numbingly boring that the replay value is zilch. If there is any strategy involved, an adult with any sense should be able to utterly destroy their kids (and a good parent on principal would do just that). 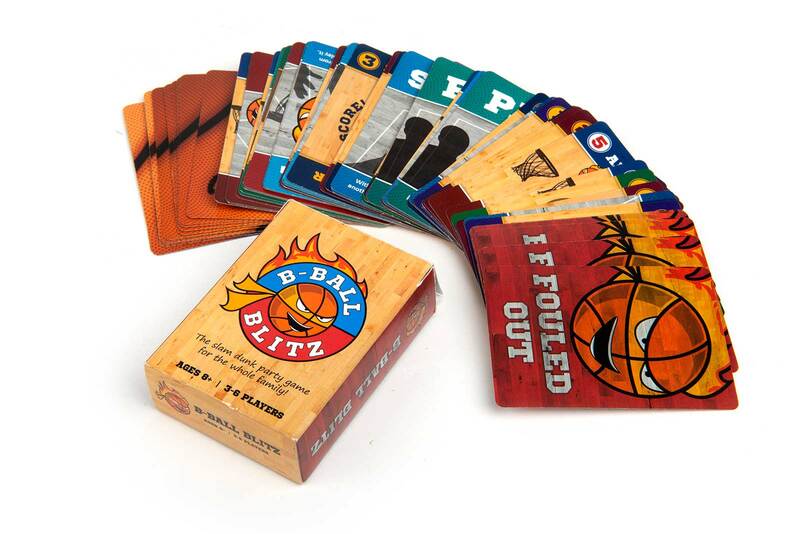 The trick with B-Ball blitz was finding that balance of strategy and luck. It takes some skill to remember the rules and choose the correct card to play, but not so much where a kid is overwhelmed. My entire life I’ve been playing every kind of card game. 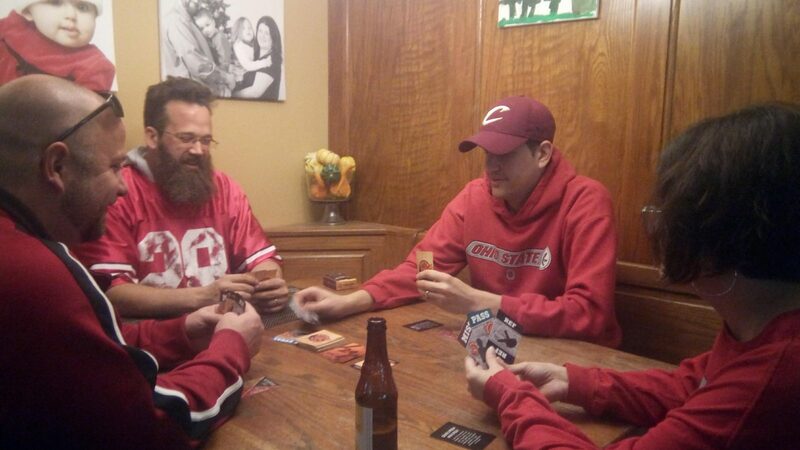 The day I met my wife, I even told her that if she learned to play Euchre I’d marry her. 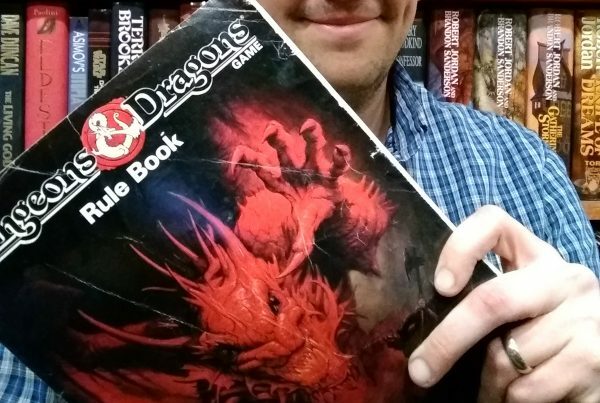 When I got old enough, I discovered drinking card games, and that’s when I gave myself a challenge. I would make a fun new drinking card game, minus the drinking. B-Ball Blitz is a PG version of a drinking game. No alcohol is necessary to play, but it still gets wild and crazy. There’s a little bit of strategy involved, but not too much. 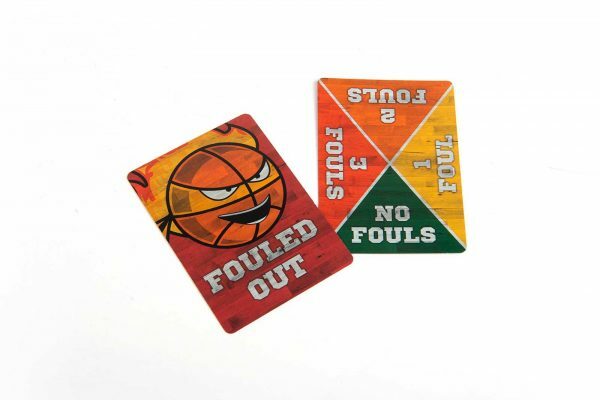 Instead of giving out drinks, you give out fouls, and the longer you play, the more difficult it gets. Now I’m not telling you that you can’t drink while playing B-Ball Blitz, I’m just saying that you don’t need to. 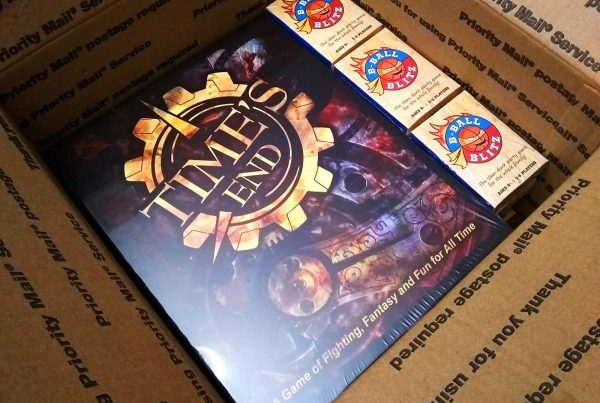 It’s a party game in the simplest of forms – a deck of cards, a group of friends, and a lot of fun.